The rapid developments in in-vivo molecular imaging modalities such as fluorescence and bioluminescence imaging enables the live imaging of gene expression, cell fate and protein interactions. Combined with detailed structural imaging modalities such as magnetic resonance imaging, the biochemical onset of disease and therapy can be monitored in combination with structural and functional consequences over time. This presentation discusses a number of image analysis challenges emerging from longitudinal pre-clinical molecular imaging studies. Three steps towards a quantitative 3D analysis of follow-up small animal imaging will be presented: whole-body registration, change visualization in follow-up data and fusion of optical and 3D structural imaging data. Several application examples will be presented in the context of translational cancer research. Boudewijn P.F. Lelieveldt is a Professor of Biomedical Imaging at the Department of Radiology, Leiden University Medical Center, Leiden, the Netherlands, where he is heading the Division of Image Processing (www.lkeb.nl). He is also appointed at the Department of Intelligent Systems, Delft University of Technology, Delft, the Netherlands in the context of a faculty exchange in the Medical Delta consortium (www.medicaldelta.nl). His main research interest is the integration of a-priori knowledge into segmentation and registration algorithms, with main applications to cardiac imaging and multi-modal pre-clinical imaging and fluorescence-guided surgery. He also serves as a member of the Editorial Board of Medical Image Analysis and the International Journal of Cardiovascular Imaging, and is an Associate Editor of IEEE Transactions on Medical Imaging. He is program and organization committee member for several international conferences, among others IPMI 2007 and ISBI 2016. This talk will focus on the convergence medical imaging and machine learning techniques for the discovery and quantification of clinically useful information from medical images: The first part of the talk will describe machine learning techniques such a dictionary learning that can be used for image reconstruction, e.g. the acceleration of MR imaging. The second part will discuss model-based approaches that employ statistical as well as probabilistic approaches for segmentation. In particular, we will focus on atlas-based segmentation approaches that employ advanced machine learning approaches such as manifold learning and classifier fusion to improve the accuracy and robustness of the segmentation approaches. 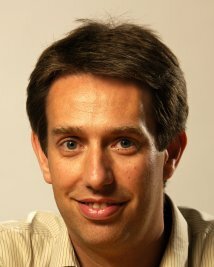 Daniel Rueckert is a Professor of Visual Information Processing in the Department of Computing, Imperial College London. He has founded and leads the Biomedical Image Analysis Group (BioMedIA), which currently has 9 post-docs and 18 PhD students. He has pioneered the development of non-rigid registration algorithms that have been successfully used in the breast, liver, heart and brain. Much of the research has been extensively disseminated to the academic community (see http://www.doc.ic.ac.uk/~dr for more details) In 2006 co-founded IXICO (www.ixico.com) to provide imaging analysis solutions for clinical trials and healthcare diagnostics. He has published more than 300 peer- reviewed publications. He is an associate editor of IEEE Transactions on Medical Imaging (TMI) and a member of the editorial board of Medical Image Analysis and Image & Vision Computing. He has served as a member of organising and programme committees at numerous conferences, e.g. he has been General Co-chair of MIUA 2004, MMBIA 2006, WBIR 2012 and FIMH 2013 as well as Programme Co-Chair of MICCAI 2009 and ISBI 2012. More recently, he has been awarded a prestigious ERC Synergy Grant (only 1.5% of applications were funded) to investigate connectomics in the developing brain. Accurate and reliable image segmentation is of paramount importance in medical image analysis. In ophthalmology, translational applications of medical imaging were – until recently – limited to 2D analyses of fundus photographs. With a fast-growing routine clinical use of 3-D imaging modalities like optical coherence tomography (OCT), ophthalmologists (same as radiologists decades ago) are faced with ever-increasing amounts of image data to analyze and quantitative outcomes of such analyses are growing in importance. Yet, daily interpretation of clinical ophthalmic OCT images is still typically performed visually and qualitatively, with quantitative clinical analysis being an exception rather than the norm. Since performing full OCT image segmentations in 3D is infeasible for a physician in clinical setting due to the time constraints, quantitative and highly automated analysis methods must be developed. Our approach to simultaneous segmentation of multiple interacting surfaces appearing in the context of other interacting objects will be presented. The reported methods are part of the family of graph-based image segmentation methods dubbed LOGISMOS for Layered Optimal Graph Image Segmentation of Multiple Objects and Surfaces. This family of methods guarantees solution optimality with direct applicability to n-D problems. The presentation will focus on a broad set of ophthalmic OCT image analysis tools developed at the Iowa Institute for biomedical Imaging at the University of Iowa and employed in translational research when analyzing image data from patients with glaucoma, age-related macular degeneration, diabetic macular edema, and other vision impairing and/or blinding diseases. Milan Sonka received his Ph.D. degree in 1983 from the Czech Technical University in Prague, Czech Republic. He is Professor and Chair of the Department of Electrical & Computer Engineering, Professor of Ophthalmology & Visual Sciences, and Radiation Oncology at the University of Iowa, Director of the Iowa Institute for Biomedical Imaging, IEEE Fellow, and AIMBE Fellow. His research interests include medical imaging and knowledge-based image analysis with emphasis on cardiovascular, pulmonary, orthopedic, cancer, and ophthalmic image analysis. He is the first author of 3 editions of Image Processing, Analysis and Machine Vision book (1993, 1998, 2008) and co-authored or co-edited 19 books/proceedings. He has published more than 120 journal papers and over 340 other publications. He is Editor in Chief of the IEEE Transactions on Medical Imaging and member of the Editorial Board of the Medical Image Analysis journal. To bring results of his research work to clinical practice, he has co-founded two medical image analysis companies -- Medical Imaging Applications LLC, and VIDA Diagnostics Inc.